Arsenal Draw – but what conclusions? Back at the Home of Football to the traditional start of footballing season entertainment known as the Emirates Cup. This is normally a fun filled affair where we take on a couple of fair to middling teams put some skilful moves together introduce a few youngsters and send the punters home happy. I disregarded TotalArsenals advice yesterday and watched on ESPN with the volume up, like a scab I couldn’t stop picking, and before long the inanity of Champion’s and Burley’s mutterings were winding me up more than they should for a game with nothing riding on it. Apparently Van Persie doesn’t like attacking the near post. Cue Robin stage centre attacking the goal and getting on the end of a lovely counter which started with a Wilshere pass to Gervinho who drove forward and provided a great cross for Robin to do what he does best. 1-0 Arsenal and alls well with the world again. We started the match rather disjointed and seemed to be a little leggy. There were occasional glimpses of why Jenkinson and Gervinho have been brought in, however Nasri went a long way to justify not giving a pay rise with an anonymous performance in the advanced midfield role. There should have been a penalty in the first five minutes when Wilshere was clearly fouled but Atkinson did what English refs do and assumed Jack must of been summer holidaying with Tom Daley and waved away the appeals. Oh well I guess it’s the refs preseason too. Boca were professional, they set about disrupting our rhythm by fouling wherever they could as is the prescribed tactic against us. Jack was most often on the receiving end. The high line played by our defence with no pressure on the ball led to a couple of opportunities for Boca but we reached half time unscathed. The second half brought a number of changes, Robin, Jack, Fabianski, Gervinho and Kozzer making way for Chamakh, Ramsey, Vela, Squillacci and Mannone. Within a minute of the restart Vela had jinked his way past a couple and the ball rolled to Ramsey who struck a good drive into the net, 2-0 cue feelings of happy days to come. I liked this goal because again it proved to me that faced with a likely impact Ramsey is not suffering the same mental frailty that understandably reduced Eduardo’s goalscoring knack. After that the Arsenal performance slowly petered out, a lack of balance to the side, Chamakh drifting on to the left wing when he should be occupying the 18 yard box. Frimpong started getting overrun in midfield and leaving our defence exposed. I thought he had a reasonable game but he seemed to lose energy in the second half, although he wasn’t exactly helped by teammates. The defensive midfield role at Arsenal really is a thankless task. And then the familiar site of Squilacci behaving randomly for a Centre Back he had already steam rollered Jenkinson in a fashion not seen since he headbutted Kozzer last season and then got caught in possession Boca didn’t need inviting twice and duly got a goal back. Not long after and it was Djourous turn to gift one, first to the ball but under pressure he inexplicably missed the ball with his sliding clearance and the eager Boca player chasing him picked up the ball and equalised. From then on Champion and Burley had a field day as they set about telling us all how regular an occurrence this all is at the Arsenal. Some of the support appears to agree having had a quick look on Twitter. As always the wins in our other preseason games have been forgotten and everyone wants to concentrate on this draw and the way it happened. Jenkinson and Gervinho are good acquisitions. We really do need one more Centre Back to complete the squad. Maybe we will get to see him today if its Bartley. Robin and Jack are looking to continue where they left off as is Kozzer. Traore may be the answer at left back I thought he had a reasonable game. Nasri can’t play the advanced midfield role, or can’t play it like Cesc, his propensity to want to dribble rather than pass is one of the things that slows our progress up the pitch. Our new defending set piece approach is zonal marking, a system employed by Adams, Keown et al. For this to work we need at least four players over 6ft (five players best in my opinion) to patrol the key areas. I think it can work I would just like to see us take it a yard further out for a starting position. Hopefully we will get more of an idea in the first half against Red Bulls as to what our likely starting lineup against Newcastle in two weeks will be. 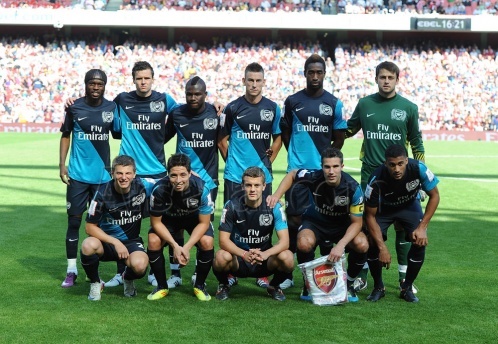 I doubt Nasri, Frimpong, Traore or Jenkinson will feature having played 90 minutes yesterday. I’d also like to see Bartley and Afobe get a run out to give us all a positive vibe about the squad this coming season. Enjoy the game AA’ers who are making the pilgrimage have a Peroni for me. They say that ‘absence makes the heart grow fonder’, and after a small eternity of not seeing the mighty Arse play, I cannot wait for the new season to start. Simply seeing our players on a green pitch again during recent friendly games, made me realise how much I’ve really missed our team over the last few months. I am full of optimism about the forthcoming season, and feel that this could be our year. Just watching Jenkinson, Gibbs, Vermaelen and Koscielny running around with such energy and eagerness in recent friendlies, made my mouth water. The triangle of Song, Rambo and Jack seems to have transformed over the summer into a confident, multi-skilled and graceful midfield war-machine, and then there is also the delight of proper, fast and effective wing/attacking-play by the likes of Ryo, Theo, Arshavin and Gervinho. Most of our established stars, for various reasons, have been taking it easy during pre-season. It is going to be a long season, so I do not mind at all. Take it easy boys and focus on what really matters this season: carrying the team through the difficult patches that we will undoubtedly have to face again. The one thing I am wary about though, is the way the ‘outside world’ will be trying their hardest to spoil our enjoyment of the new season. TV football commentators, especially those of Sky, are the biggest culprits. I cannot stand to have to hear again and again and again the oh so familiar and regurgitated platitudes such as: ‘Arsenal have not won a major trophy for six years and counting’, or that ‘Arsenal’s beautiful football is pointless if it does not deliver titles and cups’, or that we ‘do not do ugly goals but always want to pass ‘it’ into the goal’, or that we ‘Southern Sissies’ cannot take it if we are being roughed up by the teams ‘Up North’ etc, etc. Does this sound familiar to you? Then there are the newspaper articles and fan blogs. For a while the Newspapers will look for ways to build us up, only to drop us again at the earliest convenience. The smallest thing that goes wrong and all the above mentioned platitudes will be in our faces again. The fan blogs will also be full of the articles based on ‘I told you so – nothing has changed’ rhetoric, as soon as we lose or even draw a game. On top of all of that, we will have to put up with fans from other, recently ‘more successful’ teams at work, in the pub, within our families and from our friends. Tip 1: Manage your own expectations: our team has the potential to win one or more cups this season, but there are no guarantees. The higher the expectations the harder we could fall. I rather have high aspirations but more realistic expectations. 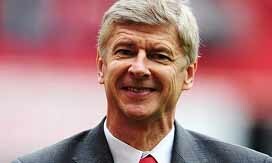 Tip 2: Keep believing in Wengerball – success is so near and lady luck might be on our side this year. Tip 3: Don’t jump to conclusions if and when we lose a game: last season once again showed us that our campaign had many twist and turns and that the outcome of an individual game, either positive (beating Citeh away and the Chavs at home) or negative (drawing at Wigan and at Newcastle), does not predict the way we will finish. Tip 4: Try not to think too much ahead and only focus on the next game coming. Tip 5: Be very selective about which papers and blogs you read, and footie TV programmes you watch: choose those that take a fair/balanced approach and avoid those that are scripted to be negative about Arsenal whenever possible (vast majority at the moment). 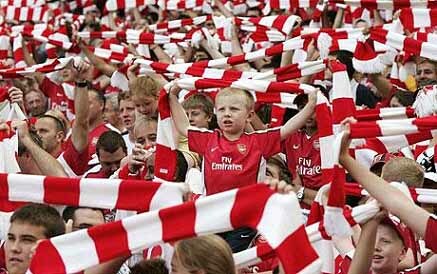 Arsenal Arsenal is the best place to be, most of the times. Tip 6: Turn off the sound of your TV-set when watching our team: I found this very helpful last season, especially during the second half when the commentators get tired and start reading of their sheet of ‘cheap and easy platitudes’. Tip 7: Tape the good games, and watch them again and again when you are feeling low. Resumption of hostilities is just around the corner. Like the starving dog stumbling through the streets on his last legs in search of a morsel, we’re starting to catch whiffs of steak wafting from a nearby kitchen, giving us renewed hope that we will actually make it to the new season before the municipal authorities bundle us in a van and drop us off at the city pound. Or something. In a mere two and a half weeks, genuine, real, tangible football will be with us again and no longer will my Saturday nights be aimless, no longer will I look forward to the weekend with only a vague sense of what I’ll be doing and no longer will I have nothing to listen to when I’m washing up. Yes indeed, life will have purpose again. The problem is, all of the above are so many insect bites on the arse of every fan. They itch like bastards and you know that scratching them will only make them worse but each scratch brings delicious, momentary relief. Then back comes the itch, the desire to find any little scrap of info about a new signing. And wouldn’t it be just fantastically, arse-kickingly, John-Terry-stampingly, Stoke-beatingly awesome to log on and find Wenger has signed who we need and that we’re ready to challenge seriously for the title while stamping on John Terry and beating Stoke (in the face, repeatedly)? It really would, but you and I know about as much about what’s going on behind the scenes at the Ems as I do about Wenger’s favourite boxers. Sadly, the same goes for our final league position come next May – we’re all in the dark, and that includes the know-all gobshites from other clubs and our friends the cow-manure-spouting hacks. We can all agree more signings are needed if we really want to challenge, but (a) they don’t guarantee us a trophy and (b) will the sky really fall in if we only get one more and lose one or both of the Annual Super Arsenal Summer Selloff Boys (aka ASASSB 1 & 2)? If any part of (b) happens, I will not be a happy bunny. I’ll probably even be put off my breakfast egg (one of my Favourite Things). But what I won’t do is go around with a face longer than Southend Pier and start chucking my toys out of my pram (nanny would only make me pick them up again). Whatever happens, I just want to enjoy my football without fixating on trophies and the Champions League and the top-four mini-league and all this other stuff which is icing on the cake of course, but do you only eat the icing? I know dessert can be the best part of the meal but before you get your paws on the sticky toffee pudding you’ve got to get through the leek and potato soup and your meat and two veg. So you might as well enjoy your starter and main because in football there’s no guarantee of dessert. While we all wait eagerly to see who else will be added to Arsenal’s squad this summer, it’s worth pointing out that the two most important signings have already been made. Aaron Ramsey and Jack Wilshere were signed to long term contracts in June and November last year respectively. Given the near certainty that we will start the new season without either or both of Cesc Fabregas and Samir Nasri, it is tempting to feel downhearted. Losing Cesc, in particular, would be a body blow because he is rightly regarded as one of the top players in the world. For the statisticians among you, I believe he was named as the most effective player in Europe last year. But even were he to go I just cannot join the ranks of the breast-beaters and hair-wringers, precisely because we have Jack and Aaron waiting in the wings. Jack has already demonstrated – in just one season of first team football – that he is one of the best players in the EPL. I was challenged in comments recently to outline what Jack currently contributes to the team (as opposed to what he might contribute in the future). Frightening when you think that he is not the finished article yet. But he is already good enough for the England manager to build the national team around him and he was one of the stand-out players across the whole of the EPL last year. Aaron’s development, as we all know, was delayed by the thuggishness of Ryan Shawcross, but he made a welcome return to the first team towards the end of the last campaign. Before his horrific injury he was showing a Gerrard-esque ability to dictate play, pass the ball and make surging runs into the box. He also has a knack for finding the back of the net (something Wilshere has yet to acquire). Again, he is an outstanding talent who will prove to be one of the best midfielders of his generation. That Arsenal should be lucky enough to have two such prodigies available to us is a cause for huge optimism. I fully expect them to form a midfield partnership that will be unsurpassed in the English league for years to come. Incidentally, I rate both of them as already having more talent that Samir Nasri. I love Nasri’s dribbling ability and his finishing, but whenever he has played in the so-called Cesc role he has looked lost and the team has struggled. He does not have the vision or passing range of either Wilshere or Ramsey. 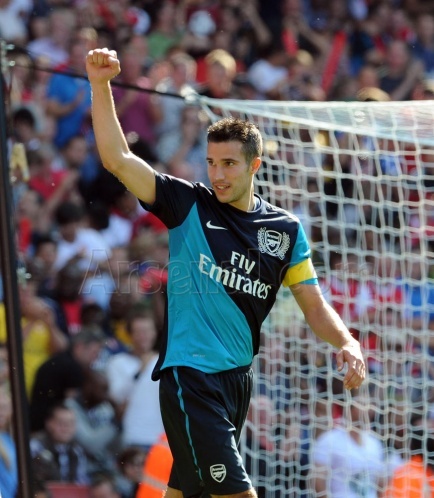 If Cesc stays for one more year I will be delighted. But if not, it will be time for the next generation to step up. Get ready for the Jack and Aaron show. It’s going to be something really, really special. “Any Club which by itself, by any of its Officials, by any of its Players, by its Agent, by any other Person on its behalf or by any other means whatsoever makes an approach either directly or indirectly to a Contract Player except as permitted by either Rule K.1.2 or Rule K.2 shall be in breach of these Rules …” (Rule K.3 of the Rules of the Premier League). Couldn’t be clearer (and it’s backed up by FIFA regulations and regulations governing agents): any approach, direct or indirect, is verboten. Could there be a more obvious breach of the rules? We feel righteously bitter about yet another no-mark blatantly unsettling one of our best players, a feeling that is made more acute by the feeling of fragility and vulnerability at Arsenal this summer. But here’s a thought: perhaps the prohibition on tapping-up should be scrapped. It is often said that a law that is routinely broken is a bad law. And it is clear that football’s rules against tapping-up are broken every day of the week. Gary Lineker wrote a good article back in 2006 (see http://www.telegraph.co.uk/sport/football/2346447/Tapping-up-isnt-illegal-so-why-have-this-stupid-rule.html), explaining how frequent tapping-up is, and how in some ways it is not only inevitable, but necessary. After all, there is an air of unreality in the idea that the would-be buying club approaches a player’s current club, and both then embark on a full-blown negotiation process, without any idea whether the player would join the new club. Similarly, a club that wants to sell may be reluctant to dilute its bargaining position by openly stating at the outset that it’s looking to offload a player. But regardless of the rights and wrongs of the rules (and believe me, I get as wound up as anyone when I see the latest comments from Xavi, Puyol, Rossell, Ferguson, Mancini or Evra), if the rules are ignored more often than they are observed, what’s the point? And, while Arsenal may well be relative angels in this area, I’m sure our club breaches the rules too: does anyone seriously think Chamakh didn’t know he had an Arsenal contract in the bag before he began to wind down his contract at Bordeaux? And how would he have known? Because someone told him Wenger wanted him. Or more accurately, told his agent. So, rather than perpetuate this torture of waiting for the rules to be enforced every time the vultures circle, let’s be more honest and scrap the rules against tapping-up, and just allow conversations to flow in a more grown-up manner. That way, we can just get on with hating Evra for being an odious little nerk. Not a very exciting title and certainly not one that is going to shoot the lights out of the hit stats but after questioning myself about it I thought why not, do I really want to attract people who’s blog name is “Wenger The Liar” and the like, not really was the answer. No, far happier am I to address the solid regulars of this fine site. We have got off to a good preseason don’t you think? Two great goals from Gervinho who really does have that last piece to the attacking jigsaw about him. This man is going to allow Wenger to take no nonsense from Arshavin or Walcott, if either one of those is not performing then bang, off and on with Gerv. I say it this way around because I still think that Wenger will start with Arshavin, RvP and Walcott up front against Newcastle but I don’t anticipate that it will be too long before the goal scoring prowess of The Gerv finds it way into the first team on a regular basis. If I had to guess as to the player who will ultimately lose out, then for me it will be Walcott. Those who read my comments know that I have a bee in my bonnet about Theo and in that same vein of bias I predict that this time next year he will be a Liverpool player. Dalglish is on a one man mission to Britify that team in the belief that it is the El Dorado, the magic formula that manu have been using in recent past to win the league as many times as they have. Liverpool have paid some outrageous prices for average English players and I for one do not think that it will work for them. But the man who cannot be understood has too much credit in the red half of Liverpool to be kicked out too quickly and that is why I predict that after another shabby forth coming season the Scousers will make us an offer we cannot refuse – think Pennant. I do have an alternate theory as to why Liverpool are in such a hurry to Britify that team and that is because Britain is the only football that Dalglish understands (He got lucky with Suarez). By contrast Wenger obviously knows the British players but has almost exclusive fishing rights in France and French speaking Africa. It’s like having our very own pool of talent to pick from, how brilliant is that and amazingly to me there are some who moan – oh no, please, anyone but another French speaking African. 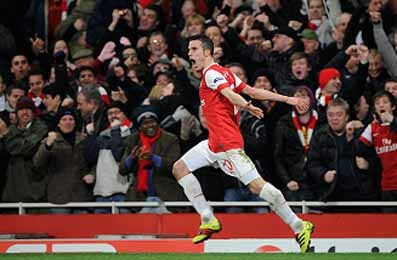 Just watch those two goals by Gervinho again and thank your lucky stars we did not buy Stewart Downing. Walcott highlights the flaw in the youth policy that Wenger has clearly adopted, which is not to complain about its adoption. I am a firm believer that there are only three types of available player out there: the youth player, the twelve million pound player and the thirty five million pound player. Very few thirty five million pound players become available, I’m talking Aguero here, and when they do they inevitably draw the attention of Man City and once that has happened what is the point of trying to financially compete? Aguero is such a good example as it is plain to see that no one has even tried to involve themselves in the potential purchase of what is one of the best attackers in the world. No, at the present time players like that are not for us. The result being that we either have to fish in the twelve million pound pond and hope the likes of Gervinho turns into the next Drogba or try and develop the next Messi through our youth system. This is all well and good but it is flawed, in order for the club to continue to attract the best youth players out there the fathers of super talented fifteen year olds must believe that if they succumb to Arsenal’s charms then their precious son will get the fairest crack of the whip possible and the flaw, I finally got there, is that players like Walcott are overplayed long before they are genuinely ready, the result is that we lose precious EPL points. I blame the loss of more than one league title on Wenger’s obsession with playing Walcott. Do you remember the crowd’s reaction when Walcott used to get off the bench to warm up: screams of Theo, Theo rang out throughout the ground; for goodness sake he is a puppy with a beach ball now he was even worse then. Certain young players become too important not to play; their inclusion becomes more important than winning the league. Wilshere is another example of a player who has to be played, I complained last season that he was not strong enough to shield the defence on his own and offered next to no goal threat. My concern about him has been tempered by the realisation that the amount of games he played probably had as much to do with Diaby and Cesc’s injuries than Wenger’s impossible position of having to play him. Can you imagine him being on the bench for the first game of the season? No you can’t and yet if Cesc stays, a player who is light years more talented, then he really should be playing instead of Wilshere, well if we want to win the league he should be. Which brings me to the title I really wanted to use Cesc, Stay, Please Stay, we are so close to having a team that just rips the EPL to pieces and with the arrival of Gervinho I think we have it. Did you see Nasri on the weekend, talented man but if there was a choice between keeping him and Cesc, hellooooooooo or should I say au revoir. We have one world class player, head and shoulders above all others and if we let him go we are back to hoping that Nasri can become the playmaker and that Wilshere will start scoring goals. They both will at one stage but I believe to win the league you have to have these two things up and running from the outset of the season. I am such a Fabregas fan I would sooner sell Wilshere to Barcelona. Moving on or running away: cries of, if we don’t buy another defender we will continue to be vulnerable to an aerial threat from set pieces ring out from the blogshere, all I have to say to this is — tosh. Vermaelen wasn’t playing last season so it is reasonable to assume that his experience will galvanise that area of the team; Koscielny coped extremely well with his forced baptism of fire to the EPL brought on by the captain of Belgium’s injury, he played far more games than was originally anticipated and did a good job in my opinion, I expect him to be even better this season. The idea of Gibbs as the new left back is starting to grow on me; so many teams come to the Emirates and park the bus that in the past we have struggled to break them down far more than we should for a team of our quality. How many times have we seen the ball played along a line of Arsenal players backwards and forwards before going out to Sagna or Clichy to send in a poor cross that nine times out of ten results in the loss of possession — too many is my answer. Gibbs can operate skilfully in the opposition’s eighteen yard box and as a result I expect him to start scoring some important goals. Winning they say is everything, forget the beautiful game it counts for nothing if you don’t win something. I was pondering this when watching a TV documentary on Murray Walker this week, a man whom I was lucky enough to meet as he, our respective wives and I cruised en-route to Australia. He was on board to give some lectures on his life in and out of motor sports. Great as these lectures were, it was the conversation that took place when they asked to join our table for breakfast that impressed me most. What you see on TV is what you get with Murray: enthusiasm personified, an unbelievably knowledgeable raconteur of class who is also ready to listen. At 87 he is 20 years older than I, yet made me feel that I was the old man, a class act I feel privileged to have met. What has this to do with wining you ask? Not a lot except we spoke of Stirling Moss – a man so entrenched in British folk-lore that, even today, if stopped by the police for speeding you are likely to be asked, who do you think you are Stirling Moss? Interesting is it not, when you realise that though he never won a world championship, he drove with such skill and bravado whilst winning 16 grand prix, but never the big one, that it didn’t matter. You don’t tend to get asked are you a Hawthorn, Surtees, Stewart, Hunt ,Mansell Or Hill : All great british drivers and world champions in days gone by, No it is the brave , seemingly indestructible yet cavalier nearly man (he was second twice) whose name has entered the language of the nation. Now our team is like that. It wins games and hearts with style and panache, indeed all but the biggest prize the Champions League, has been collected along the way, whilst setting domestic records over the Arsene Wenger years, including in the case of the invincibles, an astonishing entire season undefeated. So much so, that the very word Wengerball has also now entered the language, as a description of all that is , stylish, skillful, and entertaining, only the physicality of the English game precludes us from the accolade of total football bestowed on Cruyff’s legendary Dutchmen, but it is the nearest to the beautiful game this country has ever seen. We may not have won a trophy for six years, but in years to come, even should we not win another one, unlikely as that may be, Wengerball will still be ingrained in our living language, like Stirling Moss, to be used to describe excellence in our sport. When only the dried ink in books of statistics will recall the extravagantly purchased successes of Chelsea and City. A new season approaches, our team evolves, let’s hope our style and skills continue to grow and our manager’s quiet revolution continues to spread, to the discomfort of the long ball bully boys, both financial and actual, we all know so well. As we add another trophy or two to our already well filled cabine.